The Achilles heel of the democratization of Ethiopia is not the absence of the right leader, nor a lack of institutions. It is reconciling our stubborn ancestral ghosts. A year ago, Ethiopia was being rocked with series of protest which eventually forced former Prime Minister Hailemariam Desalegn to leave office. But then, an obscure politician known only to a few emerged: Abiy Ahmed. He inherited a country in political and economic disarray. Because of rapidly spreading unrest, predictions were rife that the country was heading to civil war, or, worse, to disintegration. However, his indigenous philosophy of “medemer”—a loose concept that touches on solidarity, togetherness, love and forgiveness—injected much-needed hope across the nation. Within seven months of coming to power, he catapulted himself into one of the most influential Africans. Such was the meteoric rise of Abiy Ahmed. The international community saw him as a great reformer who “introduced what was unthinkable not so long ago”, while locals dubbed him “heaven sent”. It is not all empty euphoria. He has delivered on many of his promises. This includes releasing political prisoners, inviting exiled opposition leaders, playing the role of peacemaker among religious factions and promoting women in government. On the international relations front, he ended 20 years of hostility with Eritrea. Judging by the way he was trying to achieve unity in the Horn of Africa, it is clear he has a grand vision that runs beyond Ethiopia. Yet despite all the Prime Minister’s achievement, the country is as fragile as ever. His public gravitas has done very little to reduce internal conflict that threaten to spiral out of control. Ethnic entrenchment shows no sign of loosening. Some sub-federal leaders are acting more like autonomous tribal chiefs. The danger of disintegration is prominent. The signs of democratization we are seeing under Abiy’s watch are flimsy. Here are the questions: Why are Ethiopians struggling to rally behind a leader who is getting international acclaim as a great reformer and unifier? Why does democracy feel like a distant hope even when the nation seems to have a strong leader committed to achieving it? 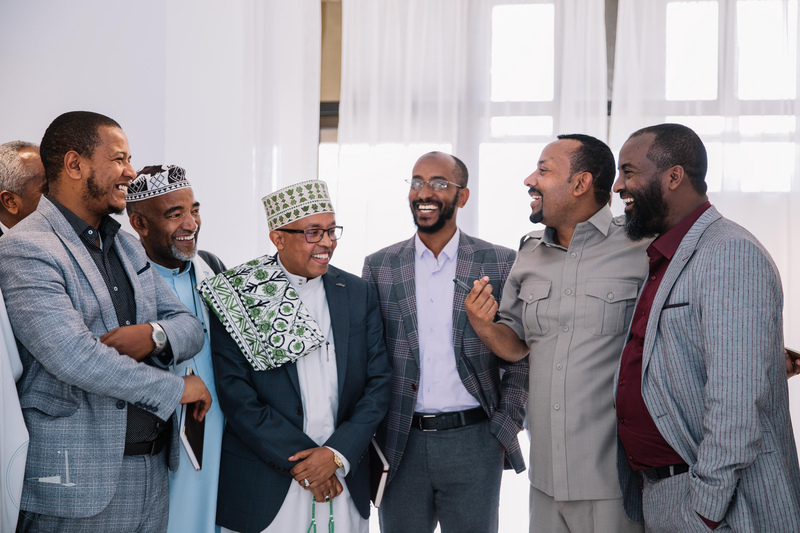 Resistance from the “deep state”, lack of independent institutions, or even Abiy’s own inability to introduce a policy roadmap to guide the nation are some of the reasons given for the ongoing chaos. All the reasons listed above might have some grain of truth. However, there is one challenge to the reform that so far seem to have remained illusive, and yet, critical: culture, especially the role of ancestors in today’s Ethiopian politics. Democracy is more than a sum of institutions and capable political leaders. It is also a culture—“the behavior, practices and norms that defines the ability of a people to govern themselves”. Our understanding of the past, our approach to future and our conceptions of what is wrong and what is right is conditioned by culture. Culture defines boundaries of relationships and dictates our formulations of social order. When a society experiences cultural stagnation, moving forward becomes uphill battle. Its sheer weight hampers the society from evolving towards better possibilities in the future. Instead of charting out a new social contract and searching for innovative means of peaceful coexistence, the society allows powerful ancestors to invade its social and political space. The Ethiopia that Abiy Ahmed inherited pretends to look like a modern state, and yet, shows the symptoms of an aging society. Politicians, activists and the media appear to be using modern terminology, but there is a palpable prevalence of chiefdom mentality. Chiefdom is territorial as opposed to inclusive, hierarchical rather than egalitarian, past-oriented instead of forward looking and emotive, not rational. Its commitment to kinship means it is perpetually bent towards protecting “its own” from “outsiders” regardless of their behavior. Even proven thieves wouldn’t stand alone—they are someone’s thieves. Moreover, in chiefdom, as demarcation between natural and supernatural is very faint (if it exists at all), ancestors (dead spirits) are an integral part of ordinary life. There are two camps, roughly speaking, in Ethiopian politics, each of them with their own modern names: unionists and federalists. However, lying beneath the modern semantics is a common meeting place of a primordial mentality of chiefdom. Ancestors play critical role in the political imagination of both sides. For the former, ancestors are faultless unifiers. As a result, any criticism directed at them elicits emotive reaction. For the latter block, ancestors are the symbols of their unadulterated identity and signposts of their uniqueness. Chiefs, from both sides, have modern titles such as activist and artist, and use slick modern technologies to get their messages across. When they face challenges, they both subscribe to old techniques of territorialism rather than mustering solutions in response to new social and political realities. I have argued sometime before Abiy’s emergence that the fundamental problem with Ethiopia is its disposition of wanting to go forward while turning its face backwards. It is a nostalgic society that is obsessed with recreating a glorious past. This, the way I see it, is the reason why both attempts at rapturous future-oriented Marxism and recent ethno-federalism that dragged the society back to its deep past didn’t work. Nevertheless, however grim they might seem, every era has a particular kind of wisdom to offer, given there is political will to discern and recalibrate them. For instance, the unionist forefathers were able to build a functioning bureaucratic state that withstood attempts of foreign occupation. Furthermore, even with its authoritarian posturing, this era has brought hints of collective meaning—creating processes which eventually morphed into a time-honored social covenant—a cultural device that was used by citizens to negotiate their differences. The authoritarian attribute of the unionist fathers could be mitigated by injecting the indigenous democratic values of the Gadaa System, and the dignity of difference would be maintained by modernizing and rebranding the “mogasa”—an adoption system that brings people in the periphery to enjoy equal privilege with the mainstream community. Instead of polarizing, such mutual value transfer would bring the ancestors into constructive dialogue with each other. This way, the new generation would lay them to rest by helping them to mutate into something colorful and coherent. Abiy Ahmed seems to be aware of the role of culture in stifling the reform effort if it remains stagnant. This seems to be part of the reason why he positioned himself, from the outset, as a philosopher-king—a ruler who is committed to bring about lasting change, not through the power of coercion, but by educating the nation into a new social contract. Hence, Abiy is not only dealing with a political crisis. He is also facing immense challenge from culture that is evolving towards the past. However, cultural transformation requires more than a philosopher-king. If he is to come out a winner, he needs an army of honest storytellers whose goal is the welfare of the nation, new elites who deal with the crisis from emotionally mature space, and peace activists who do not crave public attention.